This Ethernet Controller board based on Imatic system could be compatible with the 8 Channels relay. 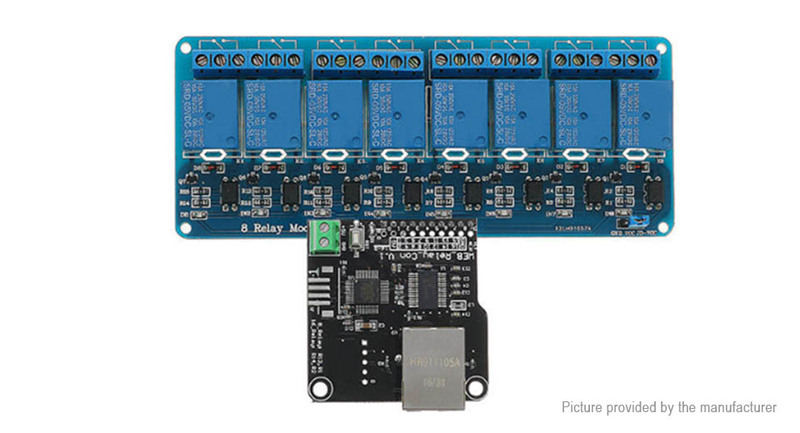 Using the Controller module and the 8 Channels relay, you could control up to 8 devices remotely on LAN or WAN. Just look the picture below. You can feel free to enjoy the remote controlling of your other devices with the Ethernet Controller board.